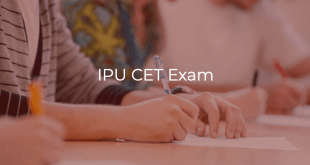 UPDATE (Apr 24, 2019): AP-EAMCET 2019 Preliminary Answer Keys released, read more here. UPDATE (Apr 24, 2019): AP-EAMCET 2019 Response Sheets now available, read more here. 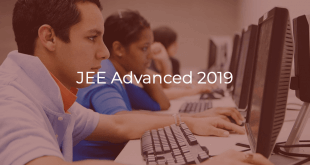 UPDATE (Apr 16, 2019): AP-EAMCET 2019 Hall Ticket released, read more here. UPDATE (Apr 6, 2019): AP-EAMCET 2019 Application Correction has started, read more here. UPDATE (Feb 26, 2019): AP-EAMCET 2019 Registrations have started, read more here. UPDATE (Feb 21, 2019): AP-EAMCET 2019 Applications will start on February 26, 2019 (10 AM). UPDATE (Jan 12, 2019): AP-EAMCET 2019 Exam Dates & Timings announced. Check exam schedule here. The exam will be a computer based test of 3 hours duration. There will be 160 questions in all comprising of 80 questions of Mathematics, 40 questions of Physics, and 40 questions of Chemistry. The medium of the question paper will be English and Telugu only. Note: Candidates who have studied the qualifying examination in Urdu medium and wish to avail assistance for translating the questions into Urdu, will be allotted a Test Centre at Kurnool only. The candidate does not have the option of choosing a specific date/session to appear for the AP EAMCET entrance examination. This information is known to the candidate only after downloading the Hall Ticket. For any reason if the candidate fails to appear in the given slot, he/she is treated as absent. Candidates should have passed or appeared for the final year of Intermediate Examination (10+2 pattern) with Mathematics, Physics, and Chemistry as optional or related vocational courses in the fields of Engineering and Technology. Candidates should have completed 16 years of age as on 31st December of the year of admission. An official mock test is made available to the candidates appearing for AP-EAMCET. Candidates can access the APEAMCET 2019 official Mock Test here: Mock Test 1 | Mock Test 2 | Mock Test 3 (Latest). Check APEAMCET sample questions for Physics, Chemistry and Maths here. The registration fee for AP-EAMCET 2019 is ₹500. The registrations for AP-EAMCET 2019 examination will begin on February 26, 2019. The last date to apply without late fee is March 27, 2019. Candidates need to visit the EAMCET website and enter basic details. Pay the Application fee through Credit Card/ Debit Card/ AP Online Centre. Take a printout of application summary page. The correction facility will be available from April 6, 2019 to April 10, 2019. Check complete details about AP-EAMCET 2019 Application Correction here. The hall ticket can be downloaded from the EAMCET site after April 16, 2019. The hall ticket will have candidate’s Name, Date of Birth, Gender, Category, Test Centre Name, Date and Time of examination. Candidates are required to produce the hall ticket at the test centre without which entry will not be allowed. The preliminary answer keys of AP-EAMCET (Engineering) will be made available on the AP-EAMCET website on April 23, 2019. If anyone is unsatisfied with an answer, the candidate can file an objection on or before April 26, 2019 (5PM) along with all supporting documents / justification. The qualifying percentage of marks for the AP-EAMCET 2019 is 25% of the maximum marks. For candidates belonging to Scheduled Caste and Scheduled Tribe, no minimum qualifying marks are prescribed. A merit list will be prepared based on the combined score obtained by giving 75% weightage to AP-EAMCET normalized marks and 25% weightage to 10+2 marks. The rank card can be downloaded from the EAMCET website. The result for AP-EAMCET 2019 will be declared on May 1, 2019. The admission will be purely on the basis of the merit in the rank list prepared based on the combined score obtained by giving 75% weightage to AP-EAMCET normalized marks and 25% weightage to 10+2 marks. The list of institutions with intake in each discipline and category will be available on EAMCET website after the result declaration. Students need to bring Hall Ticket along with Filled in Online Application Form with duly affixed recent colour passport size photograph attested by Gazetted Officer (or) the Principal of the College where the candidate has studied the qualifying examination. The signature of the candidate and left-hand thumb impression is to be filled in the respective spaces provided in the Filled In Online Application form in the presence of invigilator only. Candidates can contact APEAMCET through written communication, phone or email.